Hi. 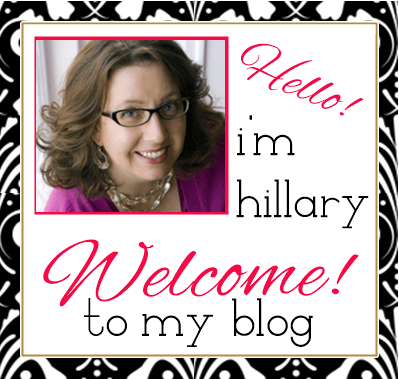 My name is Hillary and I am a published author and lifestyle blogger living in the Philadelphia suburbs with my husband and two boys. I worked in the corporate world for 20+ years as an auditor (although everyone told me I didn't "look" like an auditor) and when I was laid off, thanks to a tanking economy, I started updating my LinkedIn profile and paying more attention to my hobbies: blogging and social media. Both bring me great joy, and as the saying goes, "if you do what you love, it doesn't feel like work." I am lucky to be married to an incredibly patient and wonderful man and we are blessed with two adorable and enthusiastic boys, who are 17 and 11 years old. Parenting a teen and tween is NOT for the faint of heart. It's a challenge sometimes (ok, almost always) managing a 6-year age gap, but I wouldn't change it for anything. We are living our version of the American Dream in the suburbs of Philadelphia and take advantage of the city and history and all the wonderful things nearby as often as we can. (at least until we can afford that exotic beach cottage). I am an active member of my offline community as well, including Parent-Teacher organizations and various civic and non-profit groups in my neighborhood. 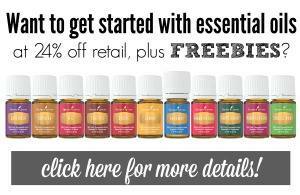 I have found a passion for a healthier lifestyle and have become a Young Living Essential Oils devotee. The blog (formerly known as My Scraps), began as an extension of my scrapbooking hobby, back in 2005. All the "cool" scrapbookers had a blog, and I decided that I needed one too. Since those early days, it has evolved into a lifestyle community where I share my ideas and inspiration for a healthier, simple life. Life is hard enough, we should strive to make ours a comfortable, simple reflection of ourselves every day. I try to bring a mix of humor and real-life narrative to each and every post. You can expect to find some sponsored posts and giveaways sprinkled throughout organic content. It is a "real" blog for "real" women, with the goal of inspiring "real" discussion and sharing. You can expect a high-level of authenticity - what you see is what you get. And I will always be truthful with you, my reader. I welcome your comments, suggestions and ideas, but reserves the right to remove anything offensive to our community. I hope now that you've found me, you will subscribe and be an active participant. Leave comments, "Like" the blog page on Facebook and follow along on Twitter, Pinterest, Instagram Periscope and YouTube. Unless stated otherwise, all posts are written by me. I have had the pleasure to work with such wonderful brands as J Jill, 3M, Best Buy, Stonyfield, MabelsLabels, Aventura Clothing, Chevy and more. I am also an active member of and enjoy working with several amazing networks such as Clever, TapInfluence, The Everywhere Society and The Motherhood. I love volunteering and am active in both my community and our school district. I previously served on the Board of Directors and am currently the part-time Program Director for The Breastfeeding Resource Center, a non-profit located in Abington, PA. I have also provided social media strategy consultation to Ella's Retreat, another local non-profit. I have prepared online content for other webpages, such as MetroKids and The Alcohol Talk Blog. I have provided Community Management services, Social Media Account Set-Up and have consulted on various Social Media plans and strategies to several small businesses in the Philadelphia Area and beyond to help them achieve their business goals. Thank you for stopping by, I hope you find something inspiring.